In 1995 he graduated from the Kokshetau Pedagogical Institute. Sh.Sh. Ualikhanov in the specialty “Kazakh language and literature.” In 2001, he graduated from the Karaganda Institute of Actual Education “Bolashak” with a degree in Finance and Credit. Conducts a practical course “Kazakh language”. He has more than 30 published works, incl. monographs and study guides. 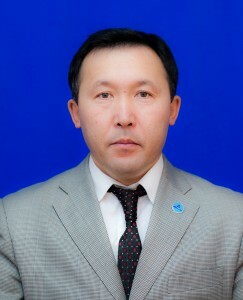 He was awarded a certificate of honor from the Department for the Development of Languages ​​of the Karaganda Region for active participation in events in order to implement the language policy and for the great contribution made to the strengthening of Kazakhstan’s patriotism and interethnic harmony.